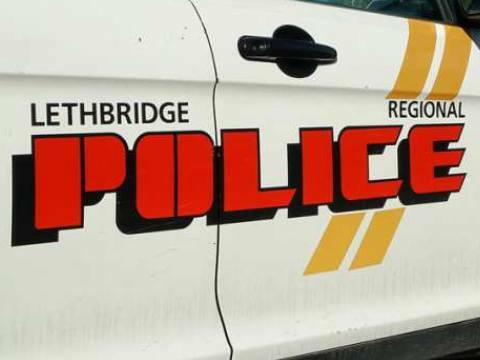 Lethbridge, Alberta – The $330,000 fraud spree of an Edmonton man wanted in connection with incidents throughout the province has ended in Lethbridge. On Feb. 27, 2019 a male used fraudulent documents to open a bank account at ATB Financial along the 600 block of Mayor Magrath Drive South. The bank was later notified the male was a suspect in fraud incidents in Calgary and the account was frozen. When the male re-attended on March 11, 2019 after a bank machine withheld his card, astute staff phoned police and were able to keep him on scene until officers arrived. Upon seeing police, the male attempted to flee and a foot chase ensued. He was apprehended a short distance away. Further investigation determined the male used fraudulent documents to open accounts at ATB along the 700 block of 4 Avenue South and was a suspect in multiple fraud incidents at other ATB locations throughout the province, including Calgary, Red Deer, Grande Prairie, Lloydminster and St. Albert, totaling more than $330,000. In those cases the suspect deposited empty envelopes and fake cheques into the accounts then withdrew the cash before they were discovered. Emmanuel P Gordon, 35, of Edmonton, is facing 16 charges in Lethbridge including possession of a forged document, using a forged document, forgery, attempted fraud and resisting arrest. Gordon is facing additional charges in other jurisdictions. He appeared in court March 15 and was released on a recognizance. He is scheduled to return to court April 18.